Happy August! In these hot days lingering toward the end of summer, California is once again in the grips of ever-worsening wildfires. Fire season now spans half the year, due to climate change causing hotter, drier conditions. These conditions also contribute to growing instability in more humble areas: native and non-native bees, imperiled not only from drought and climate change; but also dangerous pests like varroa mites, disease, herbicides/pesticides and other poisons, lack of biodiversity and forage due to monoculture, and habitat loss from human development. Earlier I’d posted about how integral bees’ health is to human life and systems, as well as on their fascinating behavior, such as the waggle dance they perform to alert each other to pollen sources. Amazingly, California has over 1600 species of native bees. 1600! 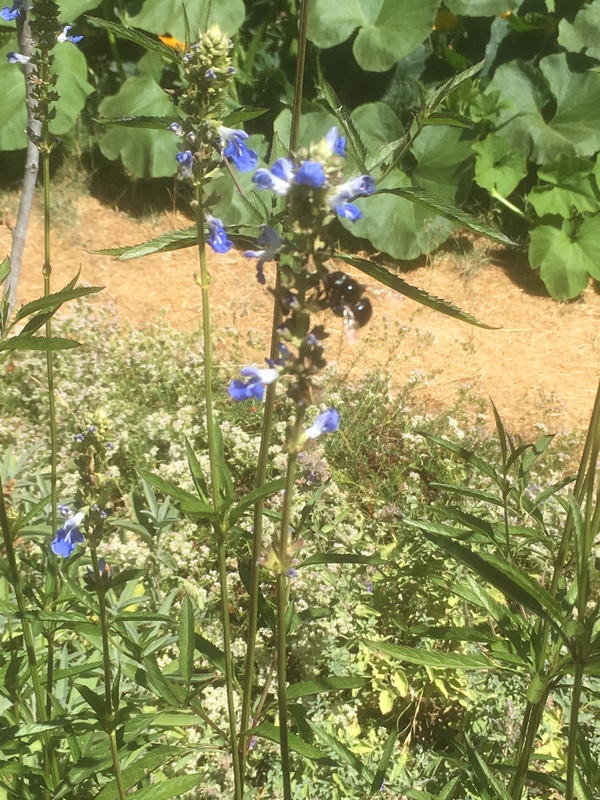 B and I have focused any garden plantings (which we decreased due to ongoing drought) on mostly native plants to attract bees and other pollinators. B’s folks have taken up beekeeping, joining the effort that’s restoring honeybee populations in New England. don’t use poisons in your home or garden! Pesticides, herbicides, and rodenticides affect more than just the creatures you want to get rid of, and kill countless beneficial insects (like bees); keystone species like raptors; household pets, and children. focus on mainly plants native to your area, and non-natives that provide necessary nectar and shelter to attract pollinators. as a beekeeper, you can make a small initial investment and sustain a relatively low-maintenance hive population; for help, join a local beekeeping association. 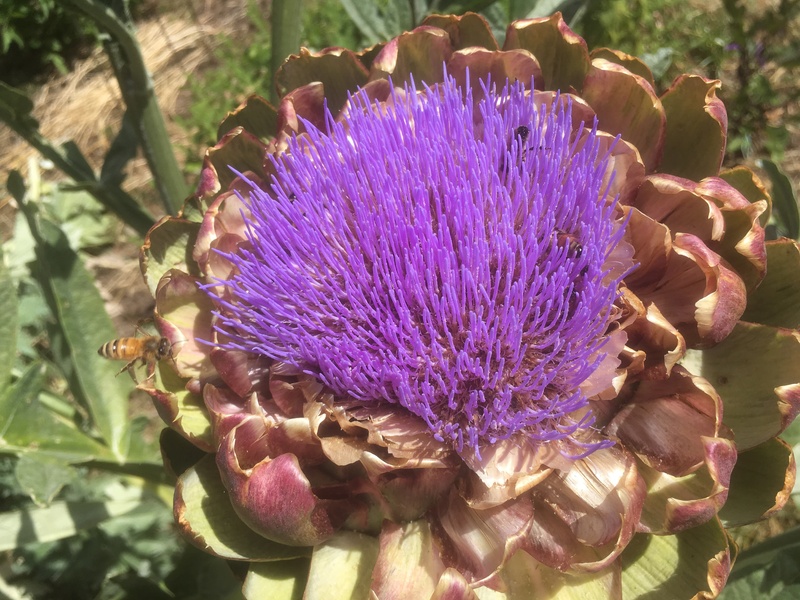 support growers of organic produce, and farmers working on innovative ways to introduce various species of native bees to supplement the work of honeybees. I can’t possibly overstate the joy of living with a healthy garden humming with happy and industrious birds, butterflies, and bees! 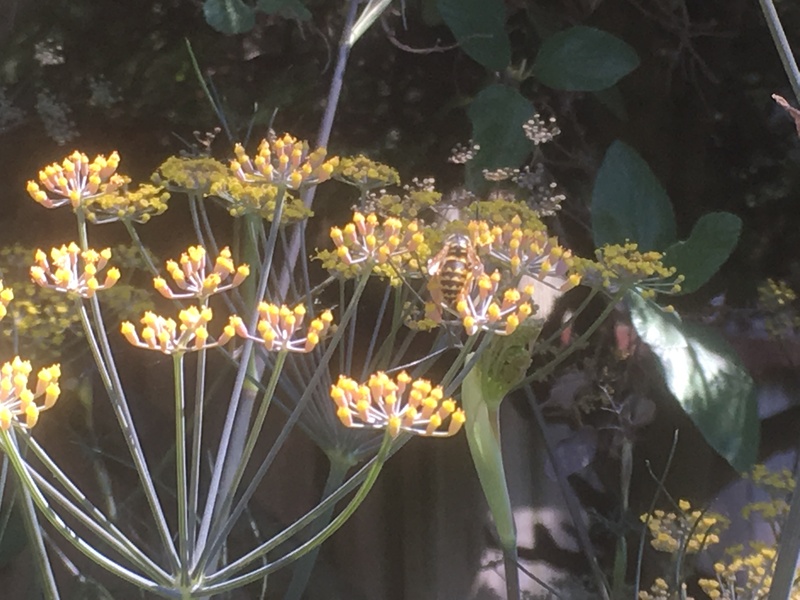 This entry was posted in Climate Change, Conservation, Family, Garden, Nature, Uncategorized, Wildlife and tagged Bees, Garden, Nature. Bookmark the permalink. 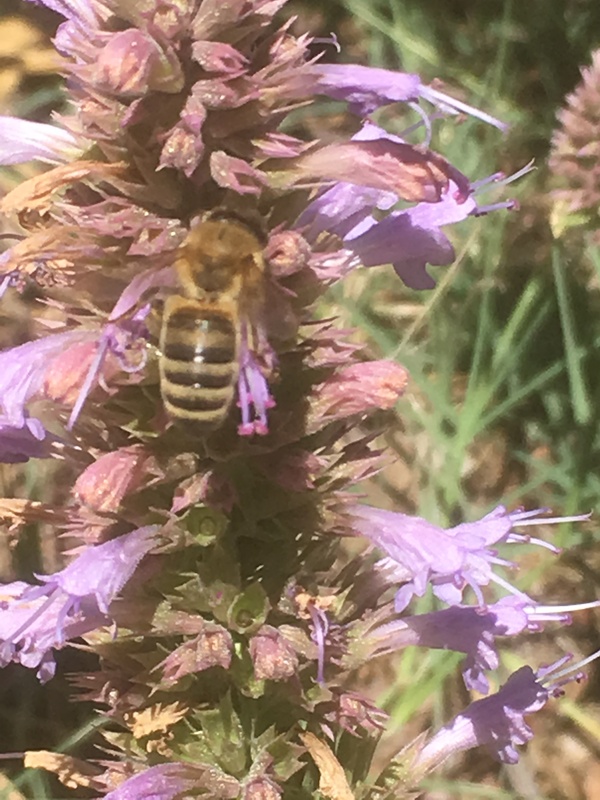 4 Responses to Bees, Please! Bees need all the help that they can get! I heard about the fires in California and was hoping your area hadn’t been affected. I love bees. Thank you so much for this inspiring post. I don’t have a garden, but there are lots of green spaces nearby to watch them! Thank you for your concern; the fires are still farther north and east of us – about an hour or more. Smoke getting worse, though, and it’s always nerve-wracking because the fires are worse this year, and you never know what can happen with fire behavior. Maybe you can have a window garden or box, that could attract pollinators to just outside a kitchen window, for instance? Glad you’re able to enjoy bees nearby! Thank you for writing about the dear little bees! As I write this, several species are busy enjoying our raspberry flowers and our other garden perennials very much! Even though the Leaf Hoppers (those little devils) are making some of the berry leaves look sad, we do not spray anything for fear of harming bees. They are so precious, we are grateful for them.